Salt Bar goes directly for the gut of Washington Avenue tequila drinkers, trotting out skinny margaritas - made without the harsh store-bought sweet & sour mix - along with some other salty standards. A bar with a laid back atmosphere and a lone songwriter with a guitar and artistic abandon can't help but draw in even a casual passerby. 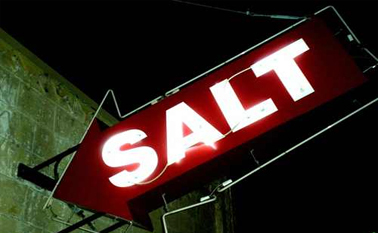 Located on the Washington Strip, Salt Bar is conveniently nestled between Shepard Dr. and Heights Blvd. A short drive from the Heights, Downtown/Midtown or the Galleria. It offers free parking and valet.